We looked at the top 9 Electric Razors and dug through the reviews from 118 of the most popular review sites including Best Products, BestReviews, Good Housekeeping, Digital Trends, Men's Health, AskMen and more. The result is a ranking of the best Electric Razors. Our experts reviewed the top 9 Electric Razors and also dug through the reviews from 118 of the most popular review sites including Best Products, BestReviews, Good Housekeeping, Digital Trends, Men's Health, AskMen and more. The result is a ranking of the best of the best Electric Razors. The Braun Series 7 offers a comfortable and close shave while providing a good value. It also offers different settings for different types of shaves. DWYM Beauty and Personal Care Experts plus New York Times Wirecutter, BestReviews, Consumer Reports, Reviews.com, Top Ten Reviews, Trusted Reviews and 5 more. Along with user reviews from Amazon, Walmart and Best Buy.
" Although it was not the favorite shaver of a majority of our test panel, the Series 7 was the only shaver all our testers agreed worked well, shaving closely and without irritation. Though it is no longer the German shaver..."
"The reason it didn’t take top spot can be found in the its general design: It doesn’t feel as good to use. The razor itself offers a smooth shave, but we missed the ergonomic handle and upgrades found in the..."
The Panasonic Arc5's large head contains five blades that help achieve a close and comfortable shave, without in-grown hairs. The battery is also long-lasting. DWYM Beauty and Personal Care Experts plus Best Products, BestReviews, Good Housekeeping, Digital Trends, Men’s Health, AskMen and 2 more. Along with user reviews from Amazon, Best Buy and Target.
" It has a powerful linear motor and a pivoting head with five blades. Of course, a waterproof body is also among the razor's key features, as is the ability to deliver both a wet and dry shaving experience." "Charging the battery too oftrn may shorten the life of the battery." The Braun Series 9 lets you mix it up with four different shave modes. It's also great for trimming those hard-to-shave hairs and offers a super powerful motor. DWYM Beauty and Personal Care Experts plus BestReviews, New York Times Wirecutter, Digital Trends, Wired, Reviews.com, Best Products and 2 more. Along with user reviews from Amazon, Walmart, Best Buy and Target.
" Boasts 4 effective cutting elements including a powerful motor with impressive 40,000 per minute cross-cutting action." "The cost of entry is just too high"
With the capability to be used both wet and dry, the Philips Norelco 8900 offers great versatility for the price. It charges quickly and has a beard styler with five different lengths so you can customize your shave. DWYM Beauty and Personal Care Experts plus BestReviews, Male Sense Pro and 2 more. Along with user reviews from Amazon and Walmart.
" Versatile, as this razor can be used wet or as an electric shaver. An updated model that does a good job shaving around facial curves. Charges fairly fast." "Requires replacement shaver heads after warranty expires, Replacement shaver heads cost half as much as the shaver itself & Power decreases when the battery isn’t fully charged." We identified the majority of the electric razors available to purchase. 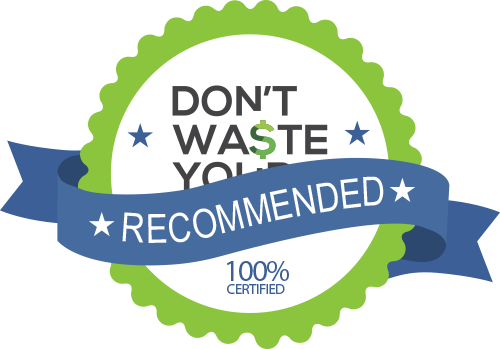 Reviews from our DWYM category experts and analysis of some of the most respected sources including: Best Products, BestReviews, Good Housekeeping, Digital Trends, Men's Health. We also incorporate user reviews from the leading retailers including Amazon, Best Buy, Target, Walmart, Home Depot. Powerful motor automatically adapts to beard thickness. Cross-cut for thorough shave. Includes cleaning/recharging dock. The Braun Series 7 has five shaving modes and an advanced battery and hygiene status display. Braun’s top-of-the-range Series 7 electric shaver is also one of the best you can buy. This chunky model has a large shave head that has three cutting blades. 3 personalization modes, Minimal noise, Pivoting head dominates hard-to-reach areas, Waterproof exterior, Dry and wet shaving. The Braun 790cc features four synchronized shaving elements that can cut in one stroke what other razors do in two. Priced above $200 (MSRP), it’s the most expensive razor we tested. Cons: • Contoured head has minor learning curve. • Very loud cleaning process. • Bulky base unit. •Locking button is fragile. • Cartridge costs for cleaning dock. It has a powerful linear motor and a pivoting head with five blades. Of course, a waterproof body is also among the razor's key features, as is the ability to deliver both a wet and dry shaving experience. The huge head is placed on a rotating pivot, ensures a quick and effective shave — even in the hard to reach places. The Arc5 gives a very close and comfortable shaving experience. This is because each of the five cutting elements has been designed to carry out a particular task in the shaving process. The head contains five ultra-thin blades within the foil cutting system. They are at a 30 degree angle to provide the best shave. The motor in this shaver is a 14,000 CPM linear motor drive. It allows for a multi-flex pivoting head. The Arc5 from Panasonic has a motor that can deliver 14,000 cuts per minute – who knew you even had that much hair? Its technology also enables it to adjust cutting power based on your beard density and the area you're shaving. Charging the battery too oftrn may shorten the life of the battery. Getting a nice, clean shave is important, whether you’re heading to work for the day, preparing for a date night or attending a formal function. Even if you don’t go for the totally clean-shaven look all the time, it’s still important to keep your facial hair nice and tidy. Whether you’re trying out a goatee, a mustache or one of the numerous styles of beards, you’re going to need a razor to make it happen. Depending on your preferences (and your morning routine), you might be considering making the switch from traditional razors to an electric razor — and getting the right one really matters. If you’re tired of lathering up, rinsing your razor every few strokes and accidentally knicking yourself periodically, an electric razor might be an appealing shaving technology for you to try out. Electric razors plug into a wall socket or a charger, using electricity to vibrate or spin the blades inside the razor. The hairs on your face stick up through a thin piece of metal with holes in it and are then cut by the blades, giving you a close shave. This piece of metal, called the foil, is what touches the skin, rather than the blades touching it directly as they do with a traditional razor. This design makes electric razors very safe — you won’t have to worry about cutting yourself while shaving as you do with a traditional razor. Electric shavers may also eliminate the need to use aftershave, as your skin won’t be as irritated as it gets after you use a traditional razor. Many people prefer electric razors to traditional razors because they don’t require the use of shaving cream or the hassle that goes along with it (though some electric razors are waterproof and can be used in the shower). Though the blades will eventually need to be replaced, likely after a year or so, they tend to last much longer than traditional razors do. Though electric razors make some noise while they’re being operated, they aren’t typically loud enough to wake up someone sleeping nearby while you shave. These convenient devices are also easy to pack up and take with you while traveling for business or vacation. Electric razors cost anywhere between $75 and $300, so they’re not cheap. But when you consider how many razors and bottles of shaving cream you buy in a year, plus the convenience factor, you may determine that the price is worth it. Curious how the electric shaver came to be such a popular bathroom staple? It was invented by Jacob Shick, who obtained a patent for the new device in May 1930. As the story goes, he was inspired to invent the electric razor after suffering from an injury that made it difficult for him to shave. Though the device did not immediately catch on with consumers at the time, it’s now a widely accepted and popular method of shaving. One important factor to consider before purchasing an electric shaver is its charge life. Unlike a traditional razor, you’ll need to plan ahead and charge your razor if you have definitive plans to shave soon — this is especially important for events where you absolutely need to shave beforehand, such as a wedding or a job interview. Though it varies from razor to razor, most can operate between 30 minutes and several hours after being fully charged. The Panasonic Arc 5, for example, has a 10-stage LCD battery indicator that lets you know how much battery you have left at any given time. Some electric shavers come with an array of helpful accessories, such as a cleaning kit, a carrying case and a sideburn trimmer. The Panasonic Arc5 comes with a pop-up trimmer for your mustache and sideburns, while the Philips Norelco 8900 comes with a 5-length beard styler with rounded tips and a comb. Regular maintenance of your electric razor is critical for a long, functioning lifespan. You’ll want to use oil or grease to lubricate the electric shaver’s blades periodically, following the recommendations in the device’s instruction manual. If your razor features an element that collects hairs, be sure to clean and empty that component regularly to prevent issues. Some shavers, including the Braun Series 7, will come with their own cleaning kit — when you’re done using the Braun Series 7, simply pop it into the clean and charge station, which automatically recharges and lubricates the shaver. You don’t have to lift a finger. Your purchasing decision will likely come down to whether you want a basic model to toss in your gym bag, or a higher-quality razor with lots of bells and whistles. The Braun Series 9, for example, uses a special technology to read and adapt to your facial hair. You may also want to consider the ergonomics of the electric razor’s handle, since grip comfortability plays a large role in your shaving experience. The Philips Norelco 8900, for instance, uses a special technology that allows each shaving head to move independently from the others. This means that each head can move in eight directions to more closely match the contours of your face and neck, which means you’re more likely to get a perfect shave. If your electric razor doesn’t seem to be functioning properly or getting as close of a shave as you’re used to, considering recharging it, cleaning it and oiling it. Some electric shavers, such as the Philips Norelco 8900, come with a warranty. The Philips Norelco 8900 warranty is good for two years and applies only to shavers purchased and used in the United States and Canada, as long as they were used as intended. The Braun Series 9, Braun Series 7 and the Panasonic Arc5 also come with two-year warranties. If you’ve never used an electric shaver before, you’ll want to be sure to pull your skin taut and hold the razor at a right angle to your face as you move it along. Depending upong the razor and the area you’re shaving, you may need to go over the same place more than once to cut all of the hairs. Keep in mind that the electric shaver may take some getting used to, both for you as the user and for your skin. For the Electric Razor category, we analyzed 118 of the most popular reviews including reviews from Best Products, BestReviews, Good Housekeeping, Digital Trends, Men's Health, AskMen and more. The result is a ranking of the best Electric Razors.